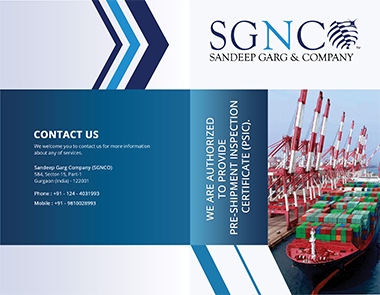 A key industry stakeholder, Sandeep Garg & Company (SGNCO) has been in business for over a decade now. With our profound experience comes a better understanding of supply and demand trends of metal scrap, aiding the creation of futuristic trading strategies. SGNCO understands that each individual client has some requirements to match, which is why we offer services that go above and beyond the basic one-size-fits-all principle, to precisely meet the needs of the client, whilst also focusing on the emerging markets. While many others may put you through queues, we take pride in communicating to our clients directly and promptly. No matter what kind of query it is, the right person is just a call or email away to cater to you with all the right solutions. Also acknowledging the fact that time is of the essence for an efficient business, we make it a point to meet deadlines and help you manage your time effectively. At SGNCO, we can guarantee a professional approach at all times, be it in terms of surveying, inspections or consultancy. Sandeep Garg & Company’s ability to deliver a plethora of integrated services in risk consulting in India is primarily down to its standing in the industry and its client conviction. Having handled more than 6000+ containers of scrap metal a month from across the globe, SGNCO has always stood for proficiency and trust. Moreover, we carry out both pre shipment and post shipment inspections and standardized testing strictly under the DGFT (Directorate General of Foreign Trade) prescribed format.